If you are dealing with the estate administration of a person who died living outside of the United Kingdom owning assets such as property, land, bank accounts, shares or other investments located within the United Kingdom, you will know that arranging for the UK assets to be released is easier said than done! 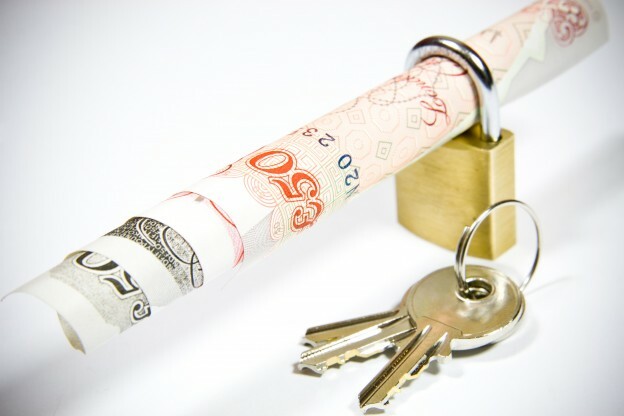 This is because most financial institutions will require a legal document such as a Grant of Probate or a resealed Grant of Probate in order to “unlock” the UK assets so they can be dealt with by the person in charge of the estate and sold or transferred to the beneficiaries. So how do you deal with estate assets located in the United Kingdom? What does resealing a Grant of Probate mean? and how do you obtain a reseal of a Grant of Probate in the UK? I am dealing with the estate of someone who lived abroad but had assets in the UK. What do I need to do? This depends on where in the UK the assets are located i.e whether they are in England, Wales, Scotland or Northern Ireland. If the assets are located in England or Wales, the person dealing with the estate will usually need to prove they are entitled to deal with the assets on behalf of the estate before they are able to collect in the assets. In order to do this they will need to apply for an English Grant of Probate or, if applicable, “reseal” the Grant of Probate (or equivalent document) already issued in the country where the deceased lived. Find out more about How to find if a deceased person had assets in the UK. What does resealing probate mean and when does it apply? The process of having a foreign Grant of Probate resealed in England means that the courts in England and Wales will “recognise” the Grant of Probate or equivalent document issued in another country. Resealing is a quick and efficient process and means that an overseas probate can be used to release the assets located in England and Wales without the need to obtain a separate English Grant of Probate. The English court is however only able to reseal probate documents issued by countries recognised by the Colonial Probate Act (current and former Commonwealth Countries). Click here to see list of countries whose Probates can be resealed in England. Where Probate documents have been obtained in other countries not recognised by the Colonial Probate Act such as France, Spain, Italy, Germany and Holland, these can not be resealed. However a separate application for an English Grant of Probate can be made in order to release the assets located in the UK. (For more information and assistance with dealing with inheritance matters in these countries contact Worldwide Lawyers). I have a Grant of Letters of Administration not a Grant of Probate. Can it be re-sealed in England? Both a Grant of Probate and a Grant of Letters of Administration issued by a country recognised by the Colonial Probate Act as well as other equivalent documents (ie Letters of Executorship issued in South Africa or Certificate of Appointment of an Estate Trustee issued in Canada) can be resealed in England. Do I need to instruct a lawyer in the UK to Re-seal a Grant of Probate? In most cases it is recommended for people dealing with an international estate where there are assets in the UK to instruct a lawyer in the UK who has experience dealing with reseal applications and international estate administrations for overseas clients. Instructing a specialist lawyer in the UK to deal with the reseal or probate application can protect the executor or administrator dealing with the estate as knowledge of the relevant procedural and tax rules will be required. The UK lawyer will be able to ensure that matters and procedures are dealt with correctly and can obtain any applicable tax exemptions or reliefs. The lawyer will also be able to help with releasing, transferring or selling the assets if required. If you need a UK lawyer to assist you with obtaining a Reseal of a Grant of Probate in the UK or releasing assets located anywhere in the UK or other British Isles, we can help. Contact Worldwide Lawyers on 01244 470 339 or at info@worldwidelawyers.co.uk. We can put you in touch with a lawyer who has experience dealing with international probate matters in the UK and can arrange for the assets in the UK to be sold or transferred to the beneficiaries of the estate as required. * not including Grants issued by the Turkish Republic of Northern Cyprus.